Remembering Clarence Clemons, and the Best Job Interview Ever. E Street Band saxophonist Clarence Clemons passed away this weekend due to complications from a recent stroke. One of the original, and the oldest, members of Bruce Springsteen’s E Street Band, Clemens has always remained an iconic staple of the New Jersey rock ‘n’ roll scene. He’s the well-recognized shoulder Springsteen leans on, on the famed album cover of Born to Run. And if you’ve ever been to a Springsteen show, you know that Bruce always introduces him last, and no doubt the well-known “Big Man” garners an impressive ear-shattering applause of his own. A die-hard Boss fan and Jersey native myself, it especially strikes a chord. But even outside of the music, there’s an interesting case study and an even better message here to not be missed. There’s no doubt that Clemons loved what he did, and loved the people for which he did it, as he gave back to his fans and his community. In 2009 nonprofit Little Kids Rock presented him with the “Big Man of the Year Award” for his efforts to raise money to put musical instruments and programs into underfunded public schools across the country. 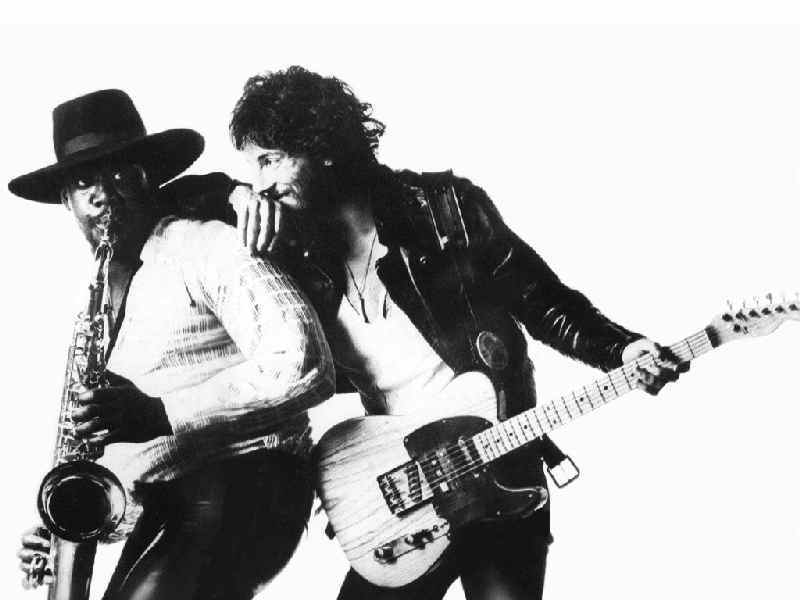 Springsteen wrote Saturday night via his blog that “[Clarence] loved the saxophone, loved our fans and gave everything he had every night he stepped on stage.” Wouldn’t it be great if we were all known for pouring the type of passion, dedication and creativity into our work that Clarence put into what he did best? Wouldn’t it be something to live a life where “work” resonates so perfectly with your life’s purpose? For most of us, that’s the goal, and few of us actually see it through to fruition. Call it a lucky break – that’s essentially how Clemons joined the E Street band in September 1971, when he walked into a bar called the Student Prince in Asbury Park, and simply announced, “I want to play with your band.” And the rest is history. Talk about creating your opportunity- I’d call this the best job interview story I’ve ever heard. But it takes more than talent and a willingness to do the job. It’s about knowing what you’re bringing to the table, putting yourself out there and not being afraid to sing your own praises. It’s about having the guts to walk right up to the stage and make that opportunity happen, telling the big Boss that you want to play in his band. Don’t we all? Luck or not, it’s not about predicting the chance encounters or unforeseen circumstances, but what we do with that information and the underlying opportunity when it presents itself. Clemons initially set out to play pro football earlier on in his life, receiving a full scholarship to the University of Maryland Eastern Shore. Unfortunately injuries from an car accident prevented him from tryng out for the Cleveland Browns, and like many of us, he reinvented himself. Perhaps not so unfortunately in the end. So what are we willing to create for ourselves, once we take off the blinders of what we think should be, and we instead know what we’re truly meant to do with our skills and talents we’ve collected along the way? Clemons called his instrument “a vehicle to move my spirit around.” Whether you do 100 things well, or one thing better than anyone else, I would say it’s simply about getting out there and sharing it with the world. In memory of a rock legend, a creative soul, and a guy who just truly loved what he did to the core. Job Searching Drain: Taking Back the Control! It’s 5am in China. They’re Probably Online. 1 Comment on "Remembering Clarence Clemons, and the Best Job Interview Ever." Thanks for this article. Really help me a lot.